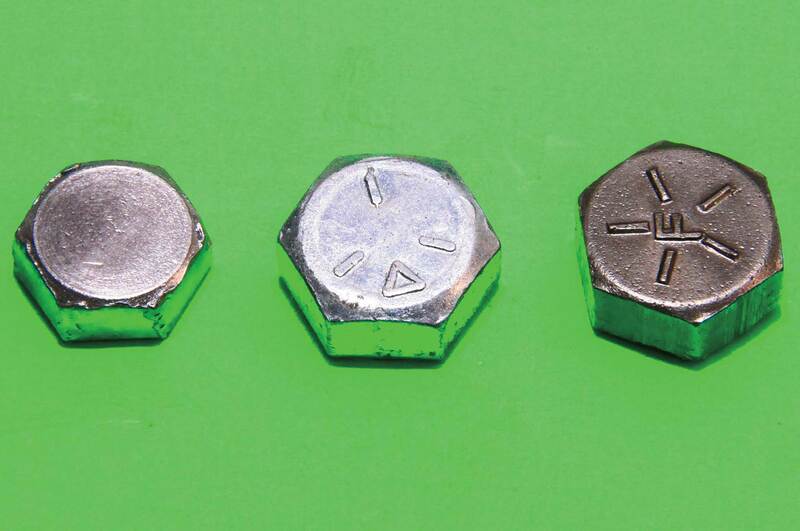 Ever been strolling through a hardware store or perhaps an auto parts establishment and wondered about the meaning behind the markings on the hundreds of thousands of bolt heads on the shelf? Whether you’re custom building, restoring an old classic from scratch, or performing a concourse restoration, it is important to understand decisions crucial to your safety out there on the road. One of the greatest safety and aesthetics decisions is proper fastener selection. You want the right bolt or screw for the job and you want to be able to trust the source. Automotive Racing Products (ARP) is here to help you understand the very purpose and function of fasteners. In order to make the right decision when you’re ordering fasteners, you have to understand metallurgy and how fasteners function. Fasteners provide a threaded clamping function that draws and holds components together. With that clamping power comes fastener tension and stretch. There’s always a certain amount of “give” in parts and fasteners when the torque is applied. Where bolts and screws become more complex is when we get into the materials they are made of, thread design, and how strength is confirmed. ARP explains that fastener metallurgy begins with grain size in the material. Steel “freezes” from its liquid state during melting from many origins (called allotropic) and each one of these origins grows until it contacts another during the freezing (cool down) process. Each of these segments is a grain. In iron and aluminum castings, these grains are fairly large. When grains become tighter (smaller) we get steel. Grains can be made tighter; therefore, even more of these grains can occupy the same space. This happens by first cold working the material and then recrystallizing at very high temperatures. Alloys are special mixes of elements that become a stronger form of iron, known as steel. Alloys, like chromoly steel, do not have to be cold-worked. What makes ARP bolts and studs optimum for extreme duty is very fine grain metallurgy, usually ASTM 8 or finer, with 10 being the finest. ARP gives us insight into bolt strength with even more detailed information. With steel, as the strength goes up, we lose something known as toughness. When steel becomes stronger, it tends to become brittle and more prone to breakage. Bolt, stud, and nut threads contribute to brittleness, ARP tells us. 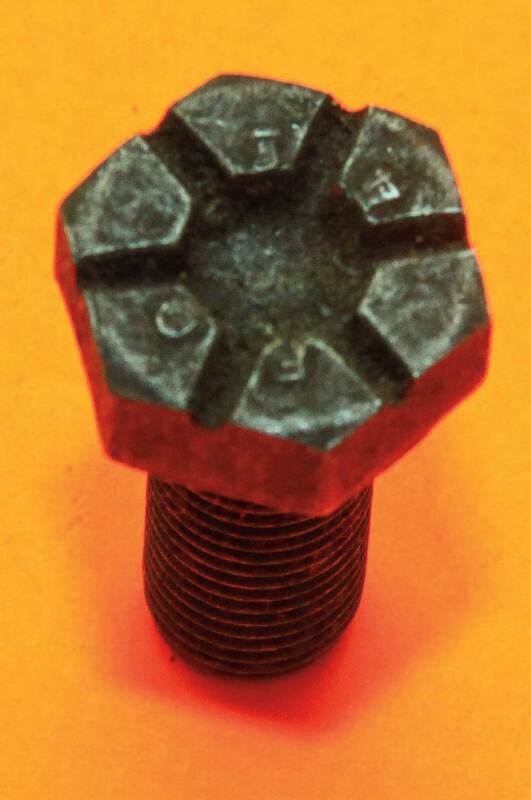 The most common bolt is a “hex” head with six contact surfaces that penetrate a nut or threaded receiver. 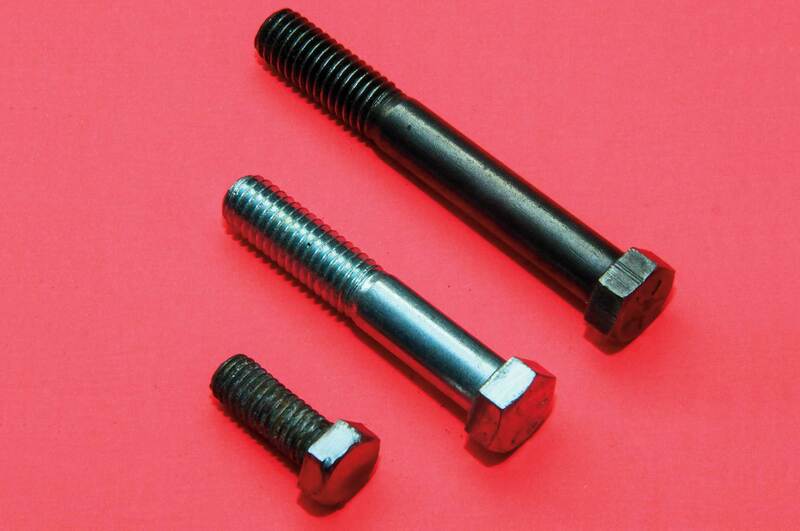 Fastener grade (U.S. or Metric) is a bolt’s makeup physically and mechanically. 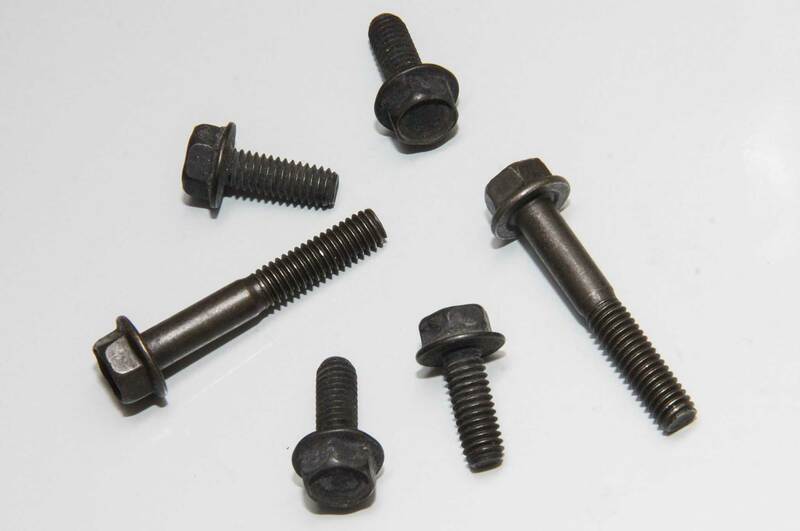 There are five basic bolt hardnesses, also known as ASTM ratings: Grade 1 (very soft), Grade 2 (soft), Grade 5 (hard), Grade 7 (harder), and Grade 8 (very hard. 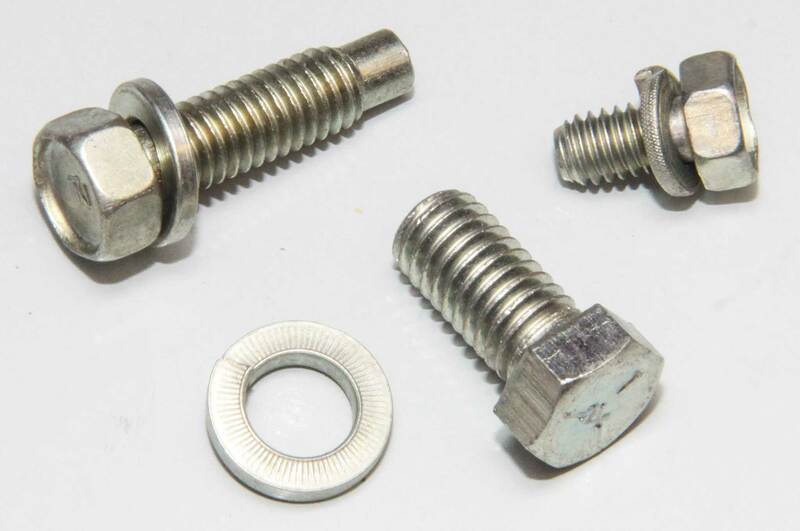 A US Grade 1 or 2 fastener&mash;your basic hardware store peanut butter bolt—should never be used on a motor vehicle in the interest of safety. US Grade 1 and 2 fasteners are low to medium carbon steel and are generally low quality. They break easily. Though the standard is 74,000-psi minimum tensile strength, these are the bolt grades to avoid. Light-duty fasteners, such as body bolts and interior fasteners, are generally U.S. Grade 5, sometimes less. U.S. Grade 5 bolts are quenched and tempered medium carbon steel. Minimum tensile strength for these is generally 120,000 psi, meaning minimum tension load is 120,000 psi. Engine, driveline, and chassis components should be fitted with U.S. Grade 8 fasteners without exception. U.S. Grade 8 fasteners are high-strength quenched and tempered medium carbon alloy steel. They’re about as strong as it gets. They can generally take 150,000-psi minimum tensile strength. Stainless bolts vary a lot in materials and construction. Stainless is a low carbon steel fastener that offers excellent corrosion resistance. Some believe stainless steel bolts are stronger than Grades 5 and 8 but this isn’t true. Because stainless is a low carbon steel it cannot always be heat treated for strength. Stainless steel bolts are generally harder than Grade 2 but not as hard as Grade 5. Good housekeeping is everything to fastener installation. If you take a rusty or dirty bolt and expect easy installation, forget it. Threads should be clean when you’re screwing things together. At the very least clean up the threads with a wire wheel, remembering to use eye and face protection. Give hardware a run-through with a lubricant before getting down to the final installation. And remember, dirty or rusty threads virtually guarantee damaged threads. 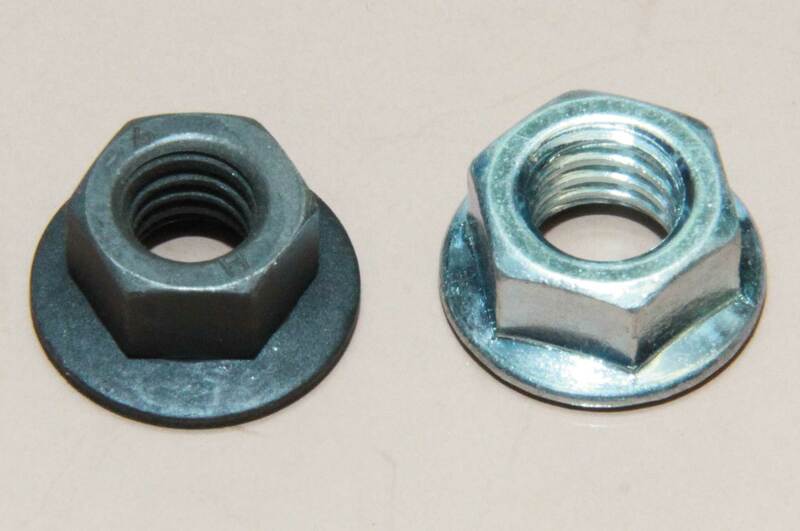 While you’re shopping for bolts, be thinking about nuts. 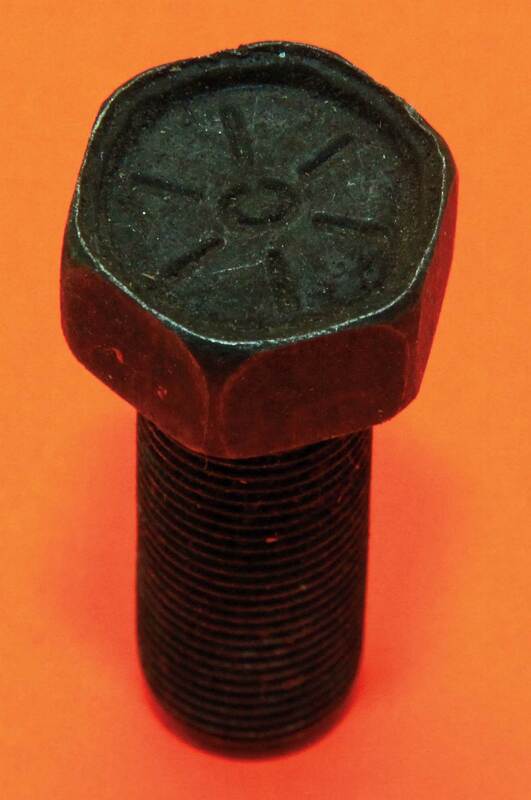 A Grade 1 or 2 peanut butter bolt is engineered to work with a corresponding low or no-grade nut. 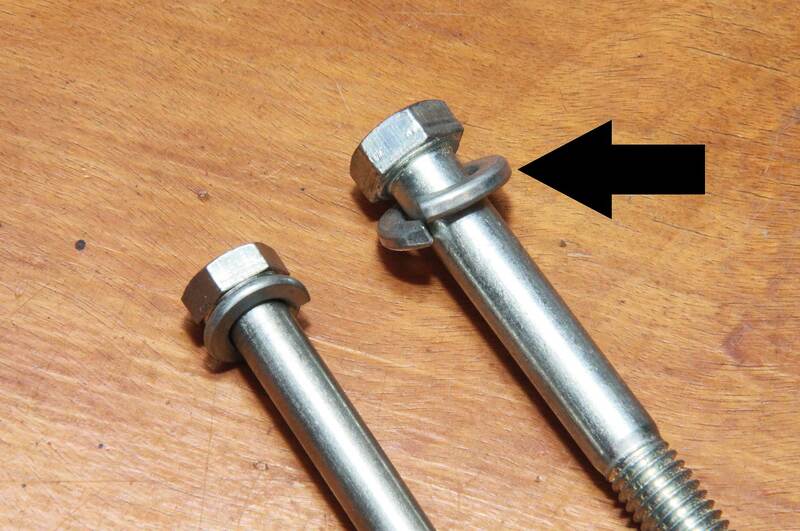 A Grade 5 bolt works with a Grade F nut while a Grade 8 or higher bolt is designed for a Grade G nut. 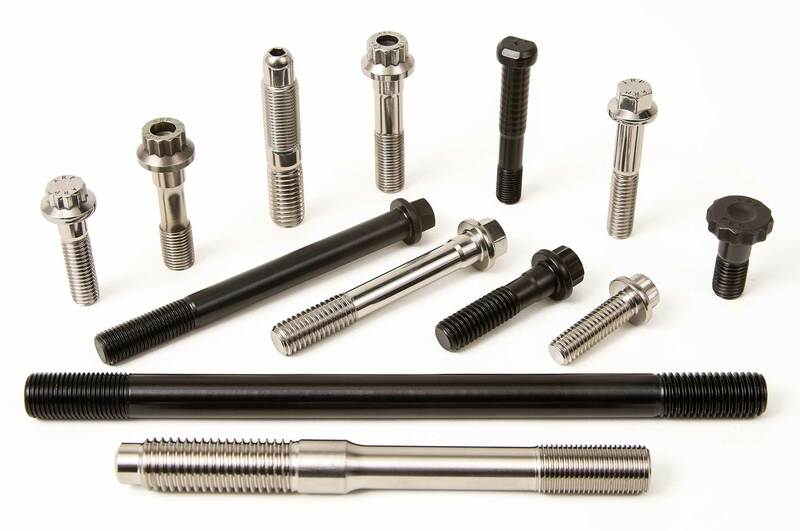 Bolt properties include alloy steel, which is heat-treated and typically sports a dull black finish. With steel alloy you get strength, however, you also get brittle. Brittle can break. You can expect to see standard hex nuts, jam nuts, flange nuts, star washer, or K-lock-Kep, a locknut known as a prevailing torque lock nut, slotted or castle, and nylon or Nylock nuts. Some of these you’re not likely to find in an OEM application. 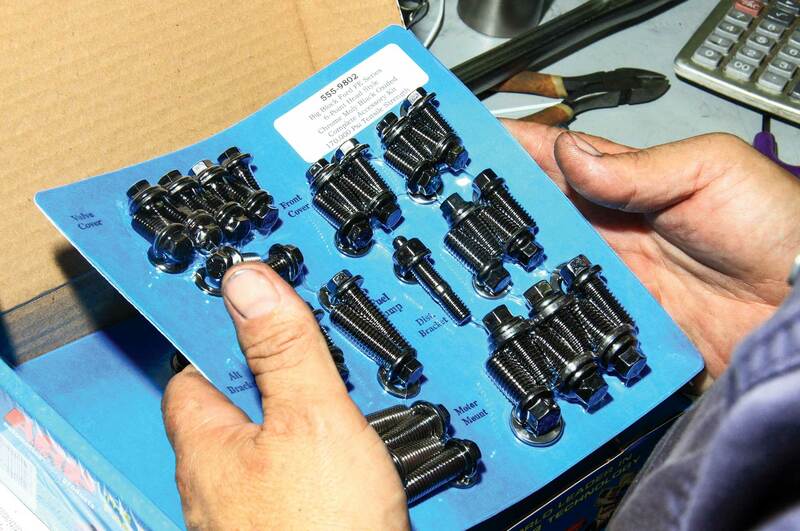 When you’re tightening bolts, it’s vital to lubricate the threads and take it slow doing so. Bolts should always be seated, then slowly torqued in one-third values. Once you have accomplished all three torque values in proper order, torque must be checked again. Never jerk a torque wrench to hit breakaway torque (click!). Slowly pull into the value desired and be patient, wait for the click. When you’re finished always zero the torque wrench if you’re using a breakaway. 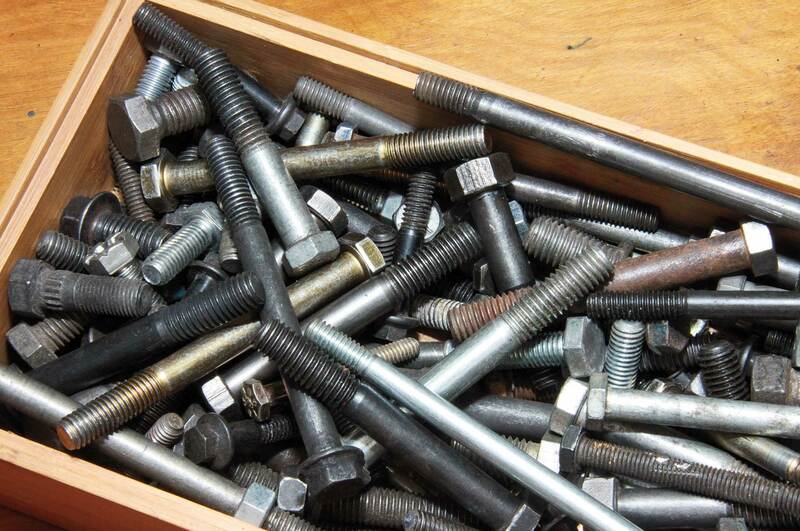 When you examine a bucket of bolts searching for the right fastener, keep bolt grade in mind before making a bad decision. Never use anything but the same grade fastener required by Chevrolet. It is suggested you opt for Grade 8/Grade G fasteners in all chassis, engine, and driveline applications. 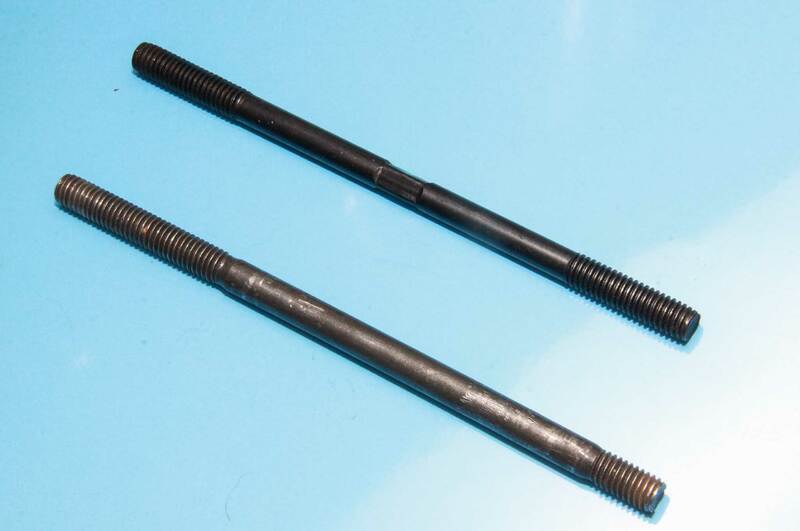 Here are two shank-style bolts. On top is a standard shank-style hex-head bolt with coarse threads. At the bottom is a flange or washer hex-head with a pilot coarse thread tip designed for quick-and-easy installation. 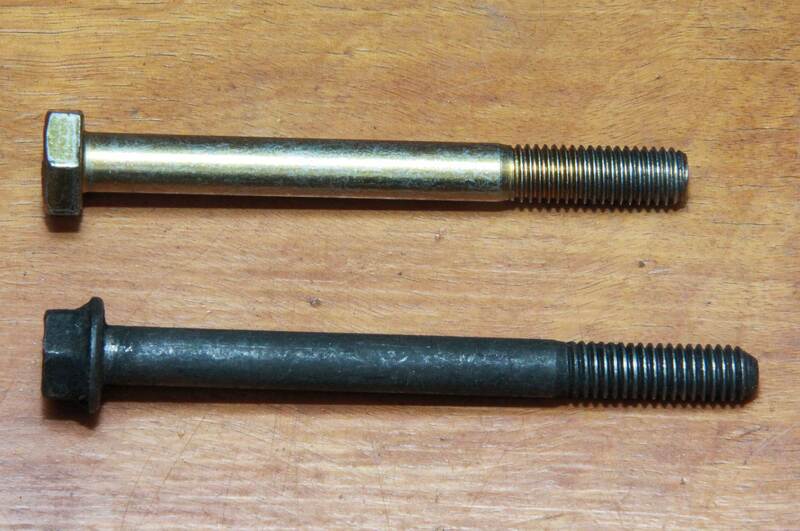 These are both Grade 8 bolts. From peanut butter to hard steel alloy from left to right. On the left is an SAE J429 Grade 1 or 2 bolt with no head markings. Center is a Grade 5 bolt with three hash marks. The triangle indicates a particular alloy or close tolerance. Right is a Grade 7 with five hash marks. OEM Grade 8 fine-thread engine bolts with unique heads. Hash marks are forged into the bolt head. These are high-carbon steel Grade 5 or 8 OEM flange-head bolts for body, chassis, and engine applications. Cad-plated Grade 5 engine fasteners are corrosion resistant. Note some of these are equipped with permanently installed split lock washers and tapered tips. 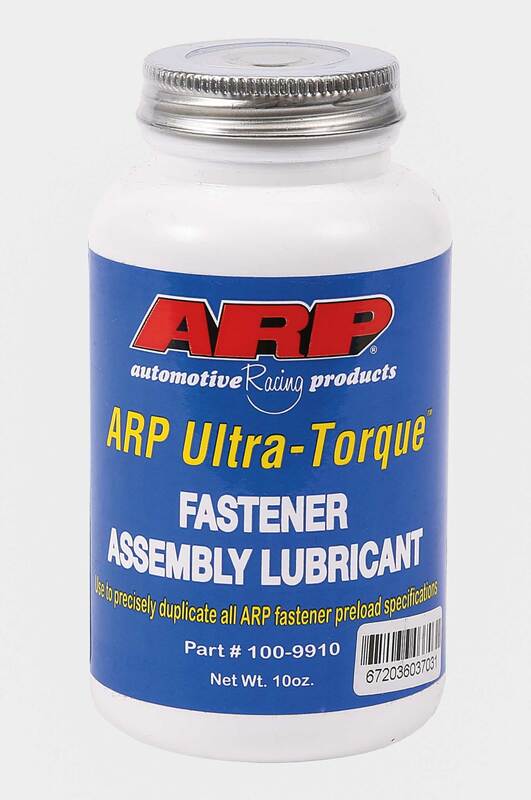 ARP offers you the kit approach to fasteners, with complete kits for popular engine applications, including Chevrolet. If you have an off-the-beaten-path engine like an old Chevy stovebolt six, you will have to piecemeal fastener selection by providing ARP with fastener dimensions when you order. OEM stud versus ARP. The ARP stud offers unequalled strength and is available in a wide variety of dimensions. Head and block studs offer greater clamping power and are virtually impossible to break. These are front accessory studs. 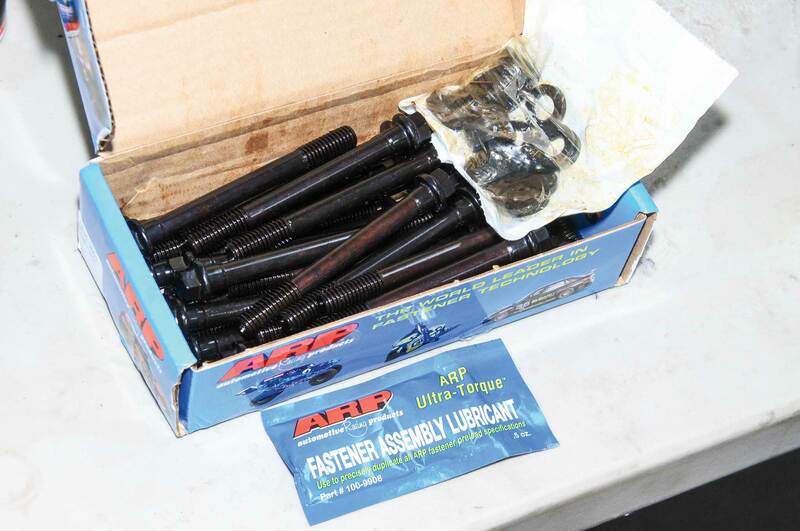 We like the way ARP packages its engine bolt kits. ARP isn’t just for engines and drivelines, but chassis and bodies as well. All you have to do is provide dimensions. Flat washers are available in more varieties than we could ever list. 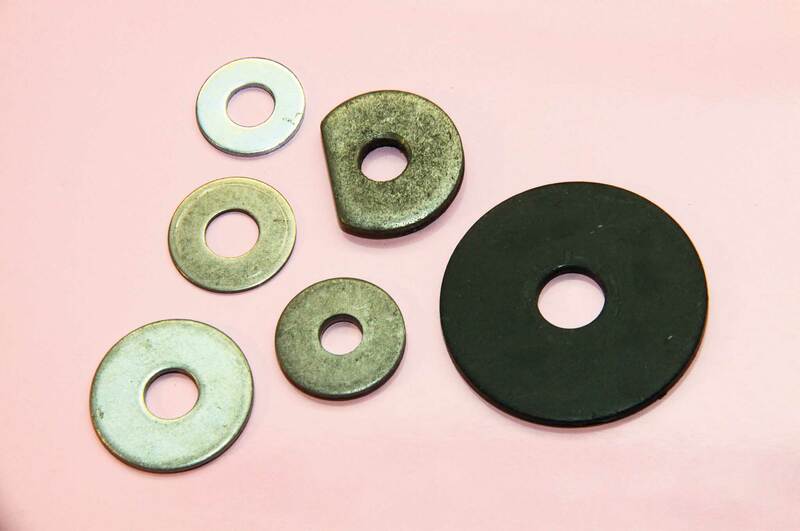 A washer is something of a bearing; a surface beneath the bolt head or nut designed to distribute load across a broader surface area. Inside diameter must fit the bolt shank. Lock washers of any kind must fit the bolt shank. On the right is a split lock washer too large for the bolt. Though it is but one size larger it will not be effective. Flange-style Grade F and G nuts. On the left is OEM style. On the right is aftermarket replacement.